Hello lovelies, today I have for you another toy review from the popular Teletubbies, I never thought I would see Teletubbies ever again after growing up having to sit and watch them with my younger brothers, I'll be honest I used to hate watching them but they seemed to have changed a lot since I was little, Oscar loves the new series, Lawson is still young and has no interest in tv what so ever but he loves the toy! Although they say it is for around 18 months to 4 years Lawson is 14 months and loves pulling this along as his walking has been mastered he copies me hoovering by pulling along his little Noo-noo its so cute to watch. 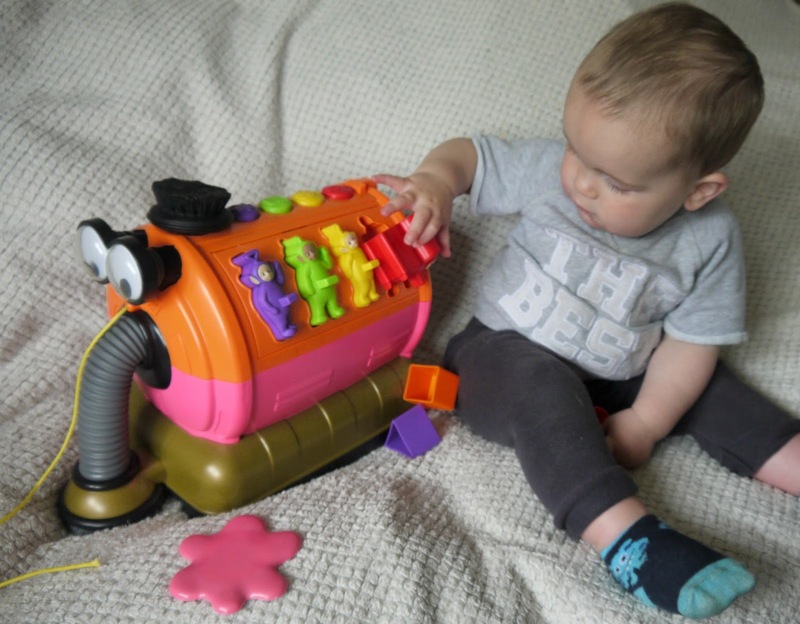 It is a great little educational toy, its great for learning shapes and hand-eye coordination, encouraging problem solving, speech and listening to all the sound effects. It's a great little toy, it has the 3D Teletubbies on one side jigsaw and the shapes on the other along with a custard splat that is magnetic and gets sucked up when pulled along, Lawson loves that bit the best about the toy and all the colourful buttons on top to make different sounds. 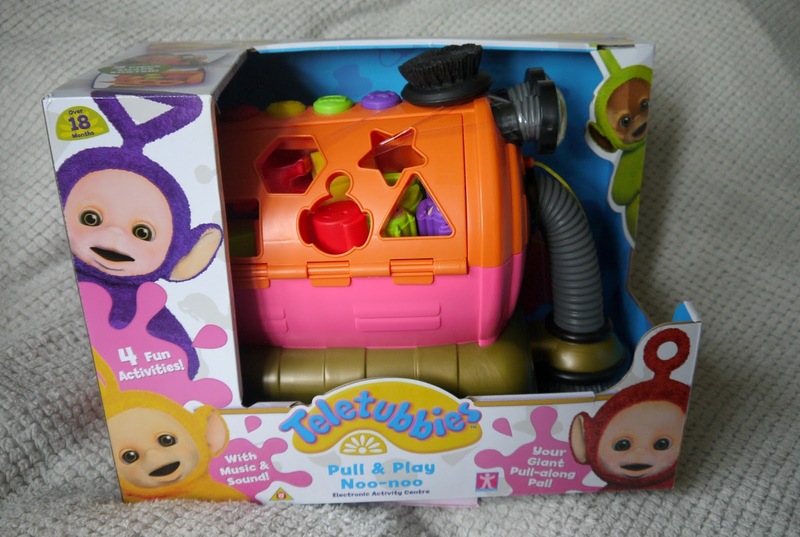 I think its very well built and has great attention to detail, I even love Noo-noo's eyes! I filmed a little video of Oscar and Lawson playing with the giant noo-noo but my battery died near the end sadly but hope you enjoyed it and their new advert for their new toys! I love the look of the might time bed songs with Lala, I would highly recommend this toy Noo-noo for a child's second birthday to get teaching them their shapes and colours and have lots of fun with it, it might even get them to encourage helping with the real hoover with any luck.